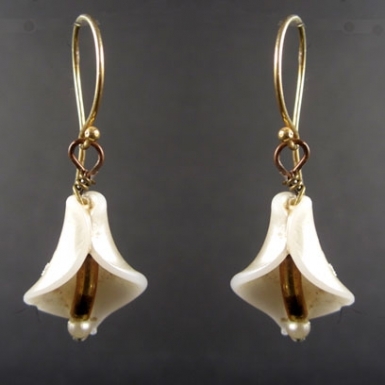 Vintage one-off earrings in charming pearlescent flower design. Vermeil 14K Gold fill earwires. Comes in black and gold embossed presentation box. Limited edition.